…and apologies for not posting any news for a while. I had a very hectic December and January has been much the same so far; so much so that I’ve not had a chance to tell you about it! I have booked some time to concentrate on updating the website and as part of that process will bring you are up-to-date with my recent activities. I hope you’re able to join me then! 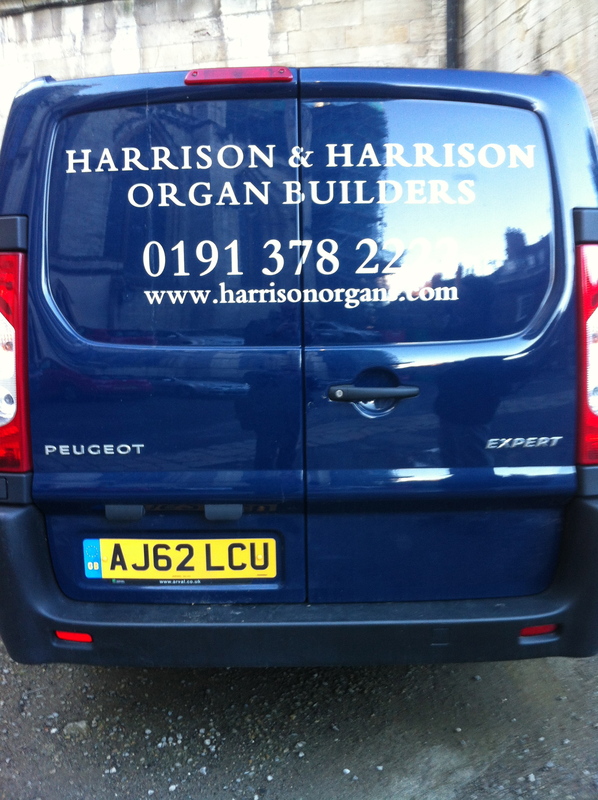 In the meantime I hope you enjoy the photo of the Harrison and Harrison van spotted in the Minster’s car par recently, which I was pleased to note is a Peugeot Expert!